Ashden asked us to create a new content strategy, information architecture and editorial capability as part of an overall website redevelopment. The globally respected sustainable energy charity brought us on board to redesign their entire digital presence. We started by plotting the core user journeys that their most valuable audiences wanted to achieve. A series of personas allowed Ashden to identify their most important user groups and what they needed from the website. 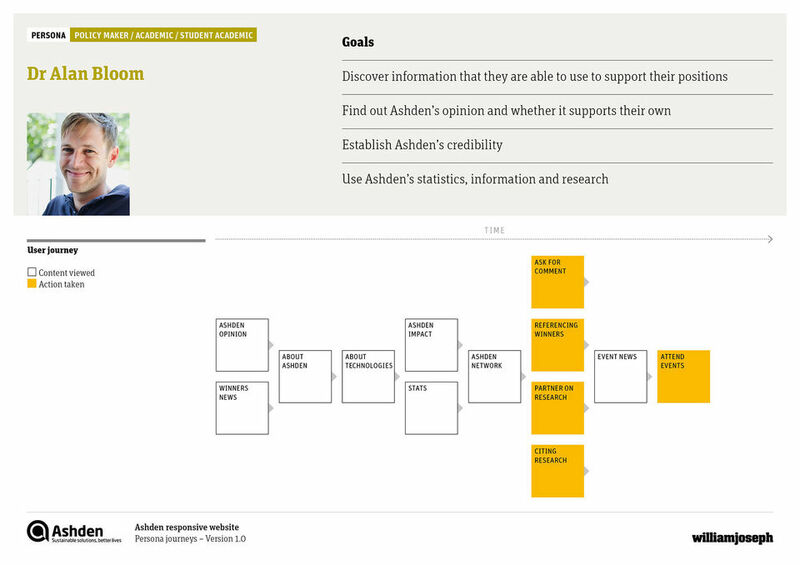 This user-centred approach led to a content map and website structure which made the most of the incredibly detailed information that Ashden have, in a way that could still appeal to a more general audience. 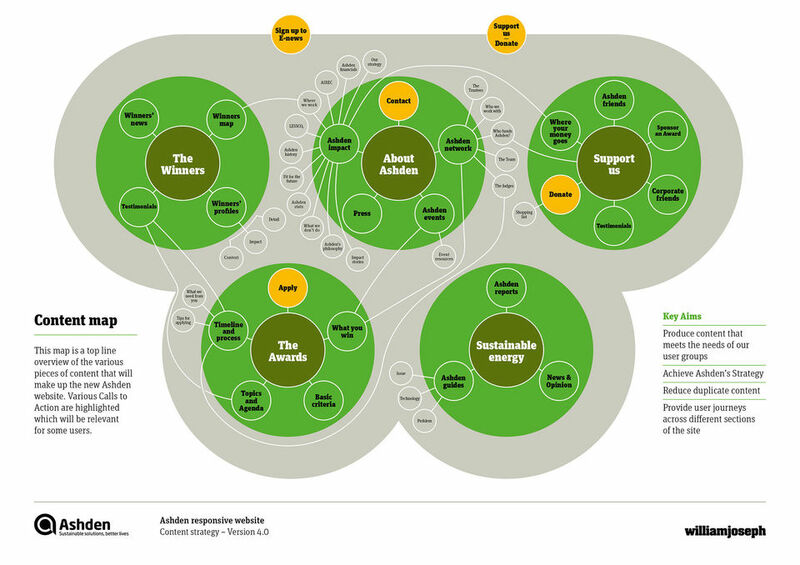 An overarching content map allowed user journeys to be planned across different types of content and sections of the website. 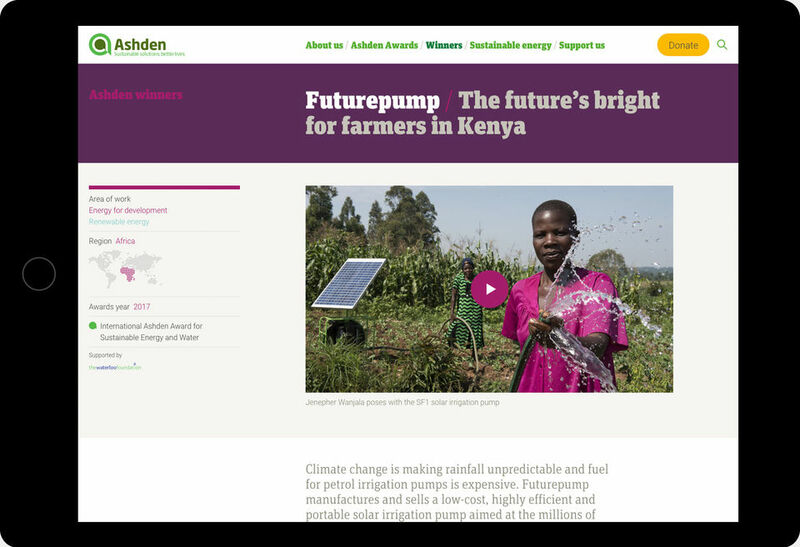 Following the content strategy and user research process, we were able to create a digital look and feel which shows the best of Ashden’s innovative work, while ensuring their expert and credible voice comes through, no matter what the audience’s level of understanding. Our website used to be clunky and unresponsive, with a lot of technical content and different strategic functions. It is now fit for purpose and looks great. The William Joseph team really understood our charity and helped to make the process as pain-free as possible, ensuring everyone was happy and felt listened to. A key component of this project was to implement a content management system that the whole of the organisation could feel confident in using. 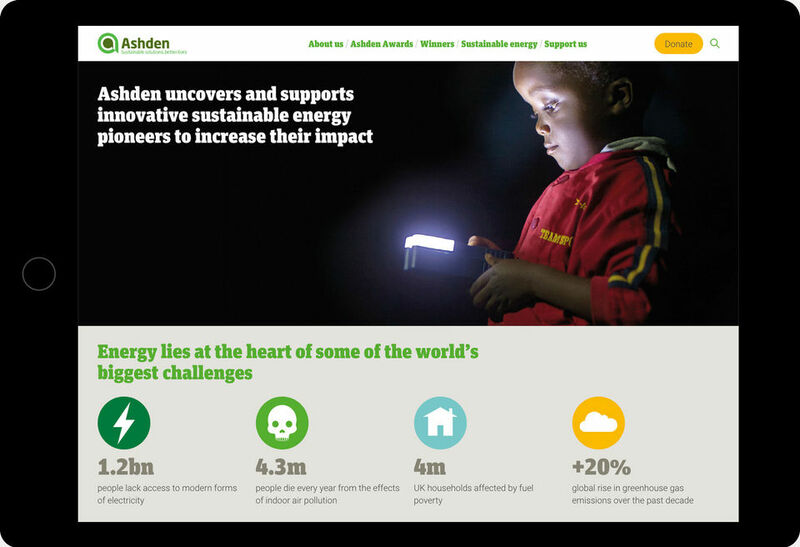 By switching from Drupal to Craft, Ashden are now able to make more of the incredible expertise they have across the charity, to create content that meets the needs of their users. Switching to Craft has meant we can build a website that is much more future-proof than before, letting us be more flexible with design too. It has a much simpler interface than other content management system I have used, whilst keeping all of the functionality.